WE have a healthy base of customers, installers, and dealers who can assist you with your home energy system. Wind and Solar is our specialty. Our Solar and Wind Home Energy Kits are installed in about 40 states of the US already. This Ohio Demo System of the RoofMill™ for WindEnergy7 was recently installed. This is the most advanced hybrid home energy system in the US. The Home Wind Farm™. The system has a maximum power output of 6kW. This Home Wind Turbine system features redundant charging capability, integrated wind and solar hybrid generation, emergency battery backup for the home and more. The video here shows one of our most recent installations of our Home Wind Farm™ systems. The Home Wind Farm™ system is an exclusive innovation of WindEnergy7 LLC, an Ohio based manufacturer of home wind turbines and solar electric products. Our 2 moving part systems feature the elegant design that will last. Where competitors have many, many parts prone to failure, our systems feature ElectroBrake™ speed limitation method and tried and true HardTail™ directional control technology. Looking for wind and solar, solar and wind, solar energy, solar energy system, wind and solar energy, wind and solar power, wind and solar power systems, solar and wind power, solar and wind energy, solar and wind power systems, or solar and wind power facts. Check out our website. Our Jumbo Solar Panel upgrades shown below put out 197 watts per panel and add the reliability of solar charging to the systems. These panels are 197 watts each and are WindEnergy 7 high output polycrystalline modules. In cases of low wind your solar power will continue to deliver energy. This layout optimizes the wind harvesting of the 3 turbine Home Wind Farm™ system. Wind patterns are considered and the turbines are located in the best possible place for wind harvesting. The solar panels are also located on the sunniest roof on this property for maximum solar harvesting. Featured in the video above, the TowerMill™ is a larger tower mounted or pole mounted system that is a wind/solar hybrid energy system that puts out 4.0kW per unit. These Home Wind Turbines sit atop a 45′ monopole tower. Customers can start with one or several. The Home Wind Farm concept allows a customer to step into this technology with a smaller investment and prove out their investment as they go. The modular turbine array concept allows for easy bolt on expansion to a system. A customer can add more power at any time whether they are using the TowerMill™, or the roof mounted RoofMill™. 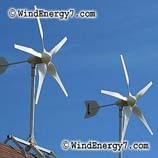 WindEnergy7 pioneered the concept of multiple wind turbine arrays as an innovation of the US manufacturer. Home Wind Farm™ was initially used with another WindEnergy7 innovation, the RoofMill™, an invention of mounting smaller home wind turbines on a roof. The RoofMill™ won a green design contest on Earth Day 2010, an esteemed green design award. Whether you need a TowerMill™, or a RoofMill™, WindEnergy7 systems are all designed as integrated hybrid wind/solar power. This is another innovation of WindEnergy7 LLC system design. Our Jumbo Solar Panels upgrades shown below put out 197 watts per panel and add the reliability of solar charging to the systems. Our great big WindEnergy7 high output polycrystalline modules are working in tandem making our system much more consistent and reliable at delivering energy every day. In cases of low wind your solar power will continue to deliver energy. Compared to a home solar only system, our wind turbines make power at night, on cloudy days, and when there’s heavy overcast storms. We have 4way™ Emergency Power which is another hallmark that makes a WindEnergy7 system better than any competing home energy system. With our systems you have 4way™ Wind. Solar, Battery Bank, and Grid as sources for power when you need it and your home will have power with or without the utility company. Since this Home Wind Farm features redundant systems, this home even has power if a turbine system were to get knocked out or fail, there are two complete systems that can each run without the other. Contact us today to find out how we can provide a world-class system for your specific needs. We specialize in complete system design and installation, and don’t sell you a loose bunch of stuff to figure out on your own. WindEnergy7 LLC is your single source for harvesting energy from wind and solar. We have a nationwide network of local dealers and installers across the US. Solar Panel Cost – We have solar panel installation, solar panel installation training, solar panel installation cost, solar panel cost, commercial solar panel installation, solar panel installation certification, solar panel installation classes, solar panels, solar panel installation jobs systems and information at our website. Please Visit our Solar Panel Store. WINDENERGY7.com – Solar Panel Photovoltaic and Solar Panel Photovoltaic systems are a core expertise of our companies Solar Panel Photovoltaic offerings. These products, many are innovations and inventions of WindEnergy7 LLC, ONLY AVAILABLE from ( WIND ENERGY 7 dot COM ). http://WINDENERGY7.com – Solar Panel Photovoltaic and Solar Panel Photovoltaic systems are a core expertise of our companies Solar Panel Photovoltaic offerings. A solar cell (also called photovoltaic cell or photoelectric cell) is a solid state electrical device that converts the energy of light directly into electricity. 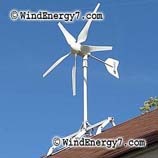 We use photovoltaic solar panels, pv solar panels and solar power components at WindEnergy7.com. Contact us for a custom quote, availability and shipping for. Learn all about solar cells, silicon solar cells and solar power. In fact, photovoltaics which were once used almost exclusively in space, powering satellites. We have a wealth of information relating to solar panel kits, the installation of photovoltaics, and the concepts and design behind creating solar cells. Our site can help World’s Lowest Prices in Solar Panels, Inverters, PV Systems for Home and Business. We carry the top brands at the lowest prices. The 1990’s were pivotal years for photovoltaic technology. Innovations in solar cells allowed for greater efficiency while lowering the cost of production to American homes. The first photovoltaic module was built by Bell Laboratories in 1954. It was billed as a solar battery and was mostly just a curiosity as it was too Amazon.com: Photovoltaics: Design and Installation Manual Solar Energy International Books. Jump to Make Your Own PV Panels? : If you think that you want to roll your own PV panel, these are the best descriptions I could find some of them are. Photovoltaic silicon cell array mounted in a rugged anodized aluminum frame. Tempered glass front, sealed for protection from. Prices are based upon the purchase of a single solar module and are exclusive of sales taxes. Information on volume discounts, factory gate, and PV system. USA made solar panels and photovoltaic products including solar cells, grid-tie systems, off-grid kits, solar attic fans at factory direct price. Roof shingles powered by solar energy photovoltaic shingles, shingles, … solar shingles, solar energy shingles, Roof Shingles roof shingles, and photovoltaic. Prices for these solar power gadgets range from cheaper than photovoltaic (PV) solar panels, which retail for a minimum of $500 per panel. Solar Market specializes in Solar Photovoltaic Panels. They have all of the information about Solar Energy, Solar Panels, Solar Power Panels, Solar Heating. solar photovoltaic information about the history of solar energy and solar panels, UL Listed PV solar panels, Photovoltaic Solar Panels direct from our factory, lowest prices..high efficiency mono/poly solar electric panels..wholesale solar. Bringing a quarter century of proven experience and performance, SunPower provides residential, commercial and power plant solar solutions. Discover why Solar Cells & Small Solar Modules Photovoltaic Solar Cells – Commercial & Educational. We carry all of the solar cells you will ever need to meet of any of your. Need to know what a photovoltaic electric system is? Not quite sure how PV cells generate electricity? Check out our Photovoltaic Electric Systems page for .Solar cells, also called photovoltaic (PV) cells by scientists, convert sunlight directly into electricity. PV gets its name from the process of. Solar panel, solar heating & wind turbine power systems for us. Blue Oak PV Products, Blue Sea Systems, Blue Sky Energy, Bogart Engineering, BP Solar, Brand. WindEnergy7.com is granting dealer territory by county map. So the opportunity to be exclusive dealer for your county and surrounding counties is most likely still available. This is a first come first serve opportunity and counties are going fast to new dealers. Again, first step is to buy and install a system. As a turbine owner you are now really in a position to show and help others do same. As a customer of WindEnergy7.com you will be learning everything about home wind turbines and will become very comfortable with the technology. You will notice how interested friends and neighbors are, and how systems are so easy to sell. Once you have bought a system, all you have to invest to be a dealer is your time and effort. Email us for dealer inquiry, we can reply with current system pricing and availability. If you are interested in starting a wind project for your residence or acreage, contact us. To Buy a Wind Turbine or Become a Dealer, Please fill out our Contact Form. The system will automatically send you some additional info. the Solar, the solar wind turbine with the solar panels creates the solar hybrid turbine system that powers the solar home that I live in. The systems in the video are inventions of WIND ENERGY 7 and are only available from the website at WindEnergy7-com or one if their dealers. The proper mix of Renewable energy and non renewable energy is a public concern for many reasons. Non renewable energy costs like oil, gasoline, natural gas and all non renewable energy sources are going up in cost. The world has limited resources and these non renewable energy resources come for unstable and hostile countries. That’s why the US and other countries have been working towards renewable energy resources to power their economies. There are a lot of different kinds of renewable energy, solar, wind, hydropower, geothermal, and biomass are just to name a few. There’s only so many of these that a HOMEOWNER can take advantage of himself. That’s where WindEnergy7 comes in with their renewable home energy systems that use BOTH wind and solar. 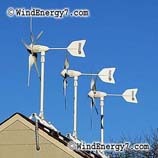 Residential wind power products Only Available From WindEnergy7.com. The residential wind power systems featured on this video are exclusive technology, WindEnergy7 has invented many of the best features in these systems making residential wind power work. There’s a reason why these systems are so successful and effective, it’s mainly the ideas and innovations developed by WindEnergy7. The system pictured is the RoofMill™, and exclusive invention of WindEnergy7 that is not available anywhere else. The RoofMill™ is the best green energy solution for urban and suburban installation. It simply mounts to the roof of almost any structure. Certified to 130mph wind, this durable, quiet system will reduce or eliminate your residential electric bill. Contact us by filling out a contact form and we will refer you to someone who can help provide you with information on buying a system or becoming a dealer. 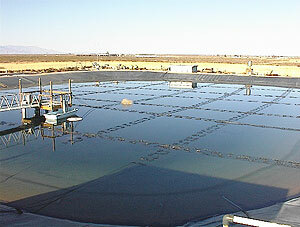 A solar pond is large-scale solar thermal energy collector with integral heat storage for supplying thermal energy. A solar pond can be used for various applications, such as process heating, water desalination, refrigeration, drying and Solar power generation. A solar pond is simply a pool of water which collects and stores solar energy. It contains layers of salt solutions with increasing concentration (and therefore density) to a certain depth, below which the solution has a uniform high salt concentration. This is a picture of a solar energy pond at El Paso Texas. When solar radiation (sunlight) is absorbed, the density gradient prevents heat in the lower layers from moving upwards by convection and leaving the pond. This means that the temperature at the bottom of the pond will rise to over 90 °C while the temperature at the top of the pond is usually around 30 °C. The heat trapped in the salty bottom layer can be used for many different purposes, such as the heating of buildings or industrial hot water or to drive a turbine for generating electricity. The largest operating solar pond for electricity generation was the Bet Ha Areva pond built in Israel (now the Palestinian West Bank) and operated up until 1988. It had an area of 210,000 m and gave an electrical output of 5 MW. Today in Israel they have a 150-KW Solar Pond. Collectors and Storage tanks are not used in this system. The pond is filled with a dense saline solution. The density of the saline solution on the bottom of the pond resists the convection process which would cause mixing. The result is a very hot layer of water on the bottom which is pumped through a heat exchanger. This was developed by Ormat Turbines. The small power-generating station located at the southern end of the Dead Sea. These inexpensive, naturally occurring phenomena are the secret to a safe and reliable energy production. An Israeli manufacturer of Rankine cycle turbines called Ormat Turbines, have developed a great system which uses heat which gathers and stores in a pool of salt water. The system generates up to 150 kilowatts of electrical power. The man made pond measuring 75,347 square feet and about 8 feet deep. http://WindEnergy7.com – We have Texas solar projects completed. One thing about Texas solar is that it should always be installed as a hybrid system with wind turbines. Texas has outstanding wind resources. So, we can’t stress highly enough how important it is that you put a wind turbine with your Texas solar project. ONLY FROM: WindEnergy7-Com – WindEnergy7 LLC, The Home Wind Turbine manufacturer, located in Ohio, has a owner/dealer opportunity for people to get a system and become the local home wind turbine dealer. So if you are in Texas, or anywhere else for that matter, contact WindEnergy7 LLC to find your Texas solar installer. Our dealers there can either supply you a solar panel kit for DIY, or provide a turn-key installation for you. WindEnergy7 supplies, supports, and installs solar and wind energy systems all over Texas. These systems are only available from WindEnergy7-Com or one of their local dealers. For more information, or to become a customer, dealer, or installer, go to the site at WindEnergy7.com and fill out their Contact form to find out about becoming a wind turbine customer, installer, or wind turbine dealer. In El paso, Texas, the University of Texas at El Paso, (UTEP) has had a solar pond producing power since 1986. The El Paso Solar Pond project, a research, development, and demonstration project initiated by UTEP in 1983. 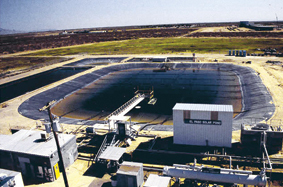 It has operated since May 1986 and has successfully shown that process heat, electricity, and fresh water can be produced in the southwestern United States using solar pond technology. An organic Rankine-cycle engine generator was installed on site in 1986, making it the first in the U.S. to generate grid connected power, producing up to 70kW. Most of this power has been delivered to Bruce Foods Corporation for peak power shaving. This demonstrates one of the primary benefits of solar ponds: power on demand — even at night or after long periods of cloudy weather. To Buy a Wind Turbine or Become a Dealer, Please fill out our Contact Form. The system will automatically send you some additional info. Thursday morning the Central Ohio Clean Energy Network is having a meeting and I hope I can make it. The meeting is about Solar Concentrators and that being an economic opportunity for Ohio. It’s being held at the Ohio Governors Residence which is at 358 N. Parkview Avenue, Columbus, Ohio. A promising approach to reducing the cost of solar energy is solar concentrators. Concentrators can either focus high intensity sunlight onto photovoltaic cells, minimizing the area of expensive materials required to generate electricity, or produce high grade thermal energy. Ohio’s economy is well suited to provide the industrial competence required to deliver these solutions to the market. Neil Sater, CEO of PhotoVolt, Strongsville, Ohio will provide an overview of where solar concentrator technologies fit into the market, the potential economic impact to the region, and what we can do to accelerated its promise. To Buy a Wind Turbine or Become a Dealer turbines@windenergy7.com.